The devastation of California's fires has elicited a moving outpouring of gratitude. 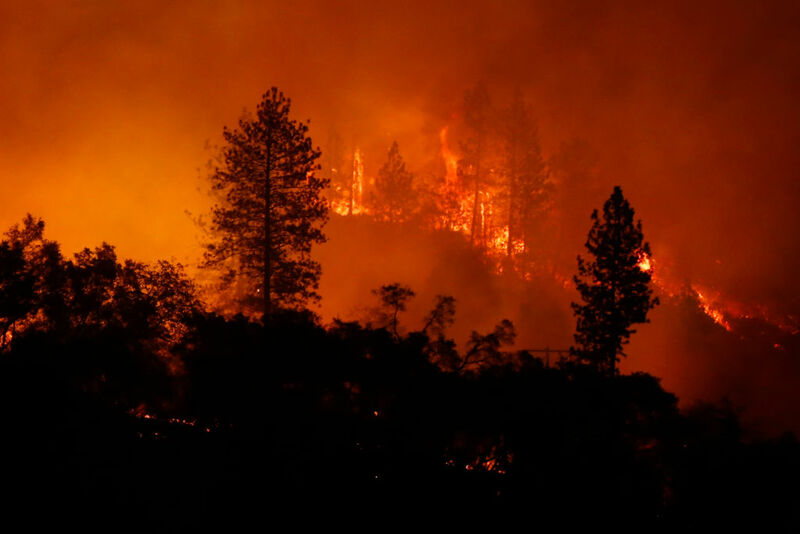 The three wildfires raging through California, the Camp Fire, Woolsey Fire, and Hill Fire, have collectively killed at least 31 people and displaced hundreds of thousands more. Massive displacement has been followed by massive — and tragic — destruction as homes and entire communities burn to the ground. The fires have affected a variety of California communities, including Malibu mansions and homes in the town of Paradise, and many have been subject to harrowing destruction. But we can learn valuable lessons from many evacuees’ responses to the fires. Many people have chosen to highlight gratitude above all else: gratitude for family, support, and the firefighters who are still battling the flames. That gratitude may have a powerful impact: Research has found that gratitude can significantly improve mental health, something that other studies have found can be dangerously impacted by natural disasters. Read, and find inspiration from, some of those messages of appreciation here. Cyrus, whose Malibu home burned down, shared on Twitter that she’s thankful for all she has left. “My animals and LOVE OF MY LIFE made it out safely & that’s all that matters right now. My house no longer stands but the memories shared with family & friends stand strong. I am grateful for all I have left,” she wrote. She also highlighted the work of firefighters, and encouraged her followers to donate to the Red Cross and other organizations involved in battling the fire and helping evacuees. Lady Gaga has tweeted several times over the past few days expressing anxiety and empathy for those touched by the fire, and offering gratitude for those working to fight its effects. “I’m so grateful I love you and god bless you to all the firefighters and first responders who continue fighting this fire. You risk your lives for us, and I’m so humbled by your bravery. You are our heroes,” she wrote. Camille Grammer posted on Instagram to express her thanks for the hard work of firefighters in the wake of the mandatory evacuation in her area. “I thanked the fire chief and his team of firemen for all of their hard work… I’m grateful for all of their hard work trying to save my home. Sad we lost our home but grateful that my family is safe… I’m grateful for my lovely neighbors and friends who kept me informed and for their help this evening,” she wrote. Californian Meghan Murphy took to Twitter to thank first responders and the “neighbors helping neighbors” in this time of crisis. Her words highlight the importance of every individual reaching out to help those around them in times of crisis. A letter from a child named Olivia was included in a box of donations sent to LA city councilmember Bob Blumenfield, and the councilman shared her message of gratitude on his Twitter. “Fire fire fighters fighters we we love love you you,” her note reads. Scalia, who’s been living in California for six years, talked to News 5in her native Cleveland about the disaster that has engulfed her family and her state. “I just feel like people take so much for granted and you don’t realize how important your loved ones are and how fast everything can get taken away from you… I just tell everybody to hold their loved ones tight and be so thankful for everything that you have,” she said.